Probe shown installed in wireless handle - handle not included. 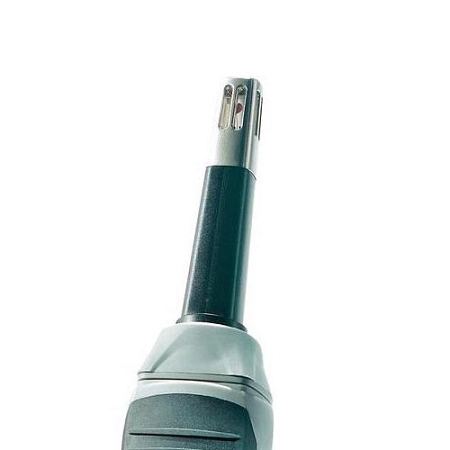 Plug-in Humidity-probe head for wireless handles. Measures temperature and relative humidity, Used by several meters for dry bulb, wet bulb and dew-point calculations. Sensor is conservatively rated at 2% absolute accuracy. Utilizes Testos' patented humidity sensor accurate from 0 to 100%RH. Long term stability guarantees years of precision measurement. Look for special combo kits with everything you need. 221 TruReward$ points will be placed in your account when you buy this item.